McShane Construction Company says that it was selected by New Moms for the construction of a new apartment complex in Oak Park. 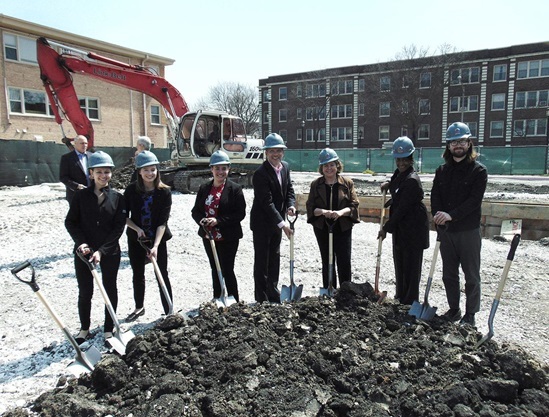 The New Moms Oak Park Supportive Housing complex will be located at 206 Chicago Ave. The four-story, 18-unit building will be constructed on a 0.34-acre site. It will be comprised of one and two bedroom units to accommodate various sized families. Wood-frame construction with a façade of masonry veneer will be used on the front of the building as well as glazed brick and fiber cement siding, McShane said in a statement. Additional interior features include office space for New Moms employees on the first floor and a playroom for children that incorporates different sized circular windows to create an open and playful feel. There will be a laundry area in the building as well as resident meeting space. Residents will have a private entrance separate from the office entrance. McBride Kelley Baurer Architects/Planners designed the development. For advertising information and rates, you can call (888) 627-8717 ext 212 or request information through the “Advertising and sponsorships“ link. © Copyright 2019, Construction News and Report Publishing Inc.